You can up pick all the episodes featured in this complete season digitally too if you wish, with The Intro Pack (includes a prologue episode and the first episode set in Paris) available on the Xbox Store and will cost £11.59, with all remaining episodes following costing £7.99. There is also a bonus episodes pack too that features three episodes costing £7.99. For the disc version with all of this content you're looking at anywhere between £30.00 to £38.00 currently, so in terms of offering value for money and resale value disc also seems a good way to go here too. Links to all of the above can be found by clicking on the name of the item you want to go and check out on the Xbox Store above. Like I said at the start of this review, the fear of stealth games in the past turning into nothing more than a bloodbath and game over screens saying "YOU HAVE FAILED" over and over again, really did make me think this disc would see itself being posted back the very same day. Loading up the very first mission I found myself being a bit alright at the game, with the game doing a great job very early on in making you believe that even the worst stealth player can disappear into the shadows like a well dressed bald ninja after choking someone out for their disguise. Sure as these episodes go on the difficulty gets a lot tougher, but not to the point where I found myself not wanting to play it anymore or anything like that. But I'm getting ahead of myself here, let me explain how it works for those who haven't played the game yet. 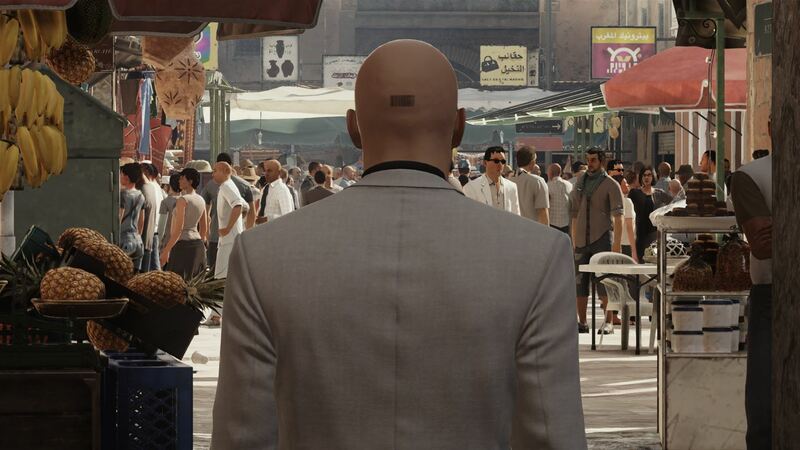 You play the iconic gaming character that is Agent 47, who let's be honest has a past of killing/choking a lot of people for no other reason than getting to complete his main objective. 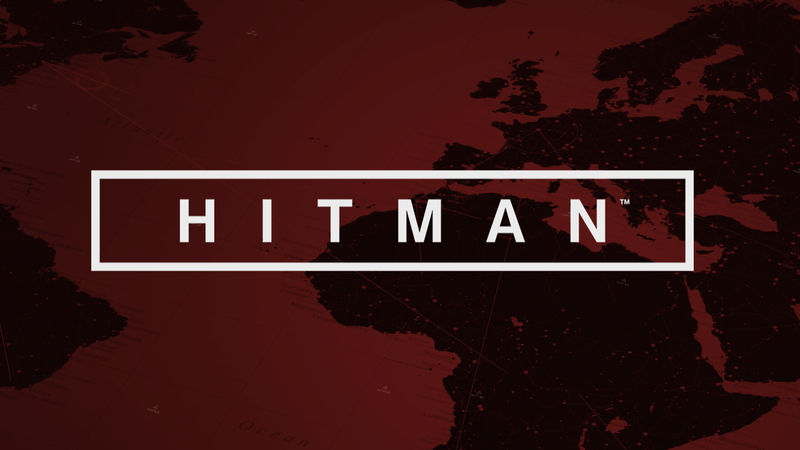 This continues in this Hitman game, with every living person who has a mundane job finding their life (or at the least going night night) at risk, as their disguise is something Mr baldy killer may need to complete his set mission/target. Each episode sees a person/people needing to be taken out, and the fun thing about this Hitman game is there are numerous ways in taking these targets down, you just have to explore a little to find them all out. This is what gives each episode a load of replay value to it, and in my case losing three hours quite easily on the prologue mission alone. You find out these different ways of death by walking around and finding items or people chatting in the decent sized maps that each episode has. Take for instance the very first level you play in which you're taking down a guy by the name of Kalvin Ritter. First time around I disguised myself as a server and followed him back to a room and shot him (and the guy he was meeting with as no one wants a snitch). As I got a more used to the game I found myself slipping poison in his drink then running to the toilet I knew he would run to, waiting for the door to shut and drown him by sticking his head down the loo and hiding his body. 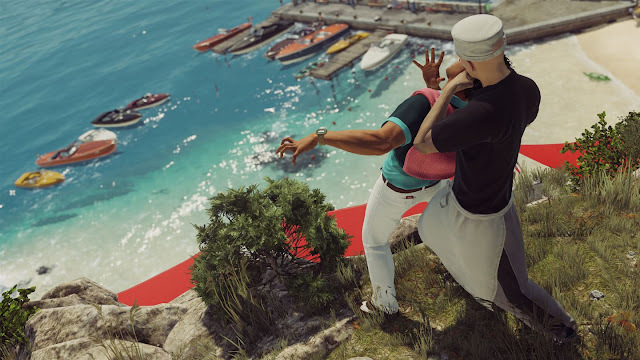 This got me wondering what else I could do to end his life, so I soon found myself dropping a lifeboat on him from the top deck and taking him out that way. I then tried again and this time put down a remote explosive where I knew he would stand still and blew him up while walking away. I even took out the guy he was meant to be meeting and stole his suit as a disguise, then going through with the planned meeting and taking him out that way. This took place in just the prologue mission, as since then I killed many targets in numerous ways. I can happily say that since that first mission I've gone on to kill many targets in many ways, making the amount of choice in taking down a target seem like it goes on forever, which helps make what looks at times to be a very simple level having way more depth than it looks. The game does have a story of sorts to it too, but the one thing I will say is this easily gets forgotten about rather quickly, as other than a few cut-scenes in between levels the story the game doesn't really try that hard in giving you anything other than making plans in how these targets must die. Other than this main portion of the game nothing really stood out to the point where it warrants me typing up a bunch of words on it in truth. Yes, you have contracts in which other players can make their own for others to enjoy, but these are very hit and miss when it comes to standing out from the rest and indeed being worth your time. Sure, some of them were alright. But nothing to the level of what the proper game has on offer, so just sort of becomes a place that you will dabble in if you have 10 minutes and nothing to do every couple of weeks. Creating these can pass a bit of time too, but much like playing those of others, once you've done one it's not something you feel like returning to unless you love this sort of thing. 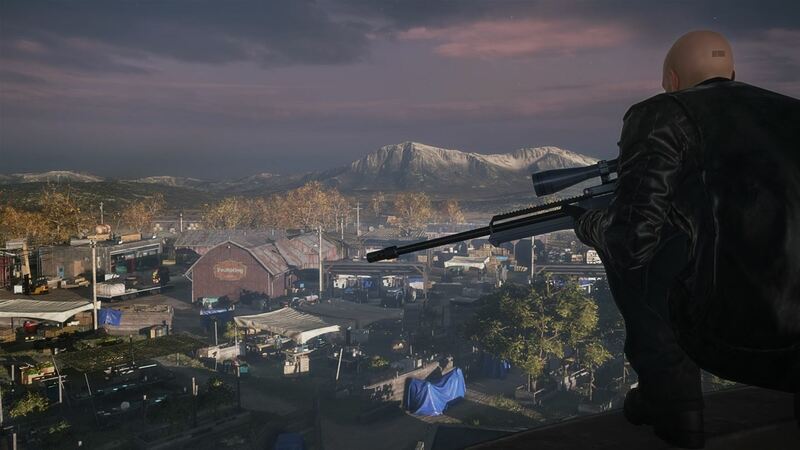 Then you have the Elusive Targets, a free mission which comes out every now that has a custom-created character (backstory and all) added into an existing location for a limited time. You have one chance to take them down, fail to do so and you will have a big fat fail screen to look at for the rest of time. I'm yet to complete one of these yet (I've really tried, I swear), but while failing them it is a great way to keep the game alive and keep those with a long streak of successful missions coming back to the game. Overall: I've had a bunch of fun with this game with the 24+ hours gametime I've spent with it so far. Like I said above, the amount of replay value in each mission really offers a great amount of bang for your buck, with missions still being fun to go back and play even after playing them a number of times. The only downside I can think of is the online create portion being a place that can easily be forgotten about very soon, with idiots like me filling it with simple, waste of time contracts that don't offer anything special.